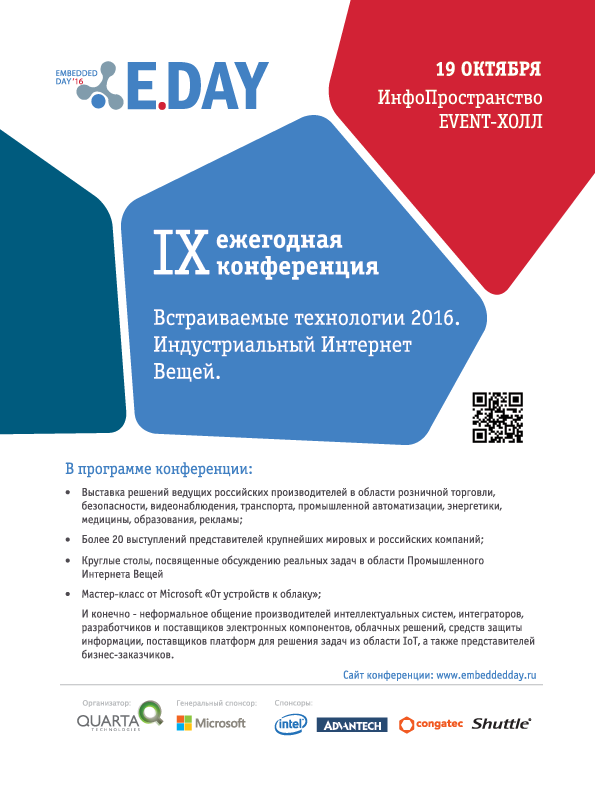 Dear partners and subscribers! We are delighted to announce the articles published in the issue No.4 (64) of ISUP magazine for 2016. Subscribe to learn about many new and useful things! 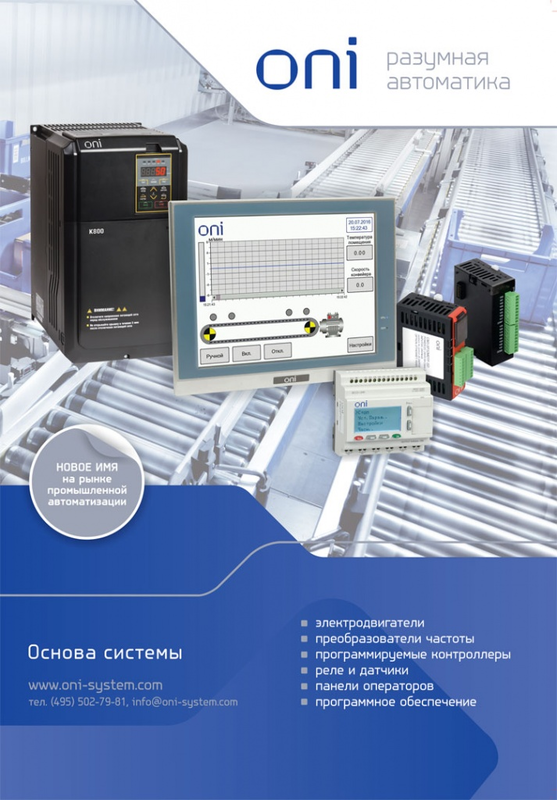 Omron, one of the internationally recognized experts in industrial automation, sets a new trend in the design of control cabinets: the concept of the versatility of the dimensions of components now makes assembly, heat ventilation, inspection and other equipment maintenance procedures much simpler and faster. In certain cases, this new concept extends the lifespan of equipment. The domestic manufacturer Remer Production Group has introduced the accessories for its brand of electrical cabinets, Elbox. They include pole and wall mounting kits for suspended cabinets, devices for intra-cabinet installation, accessories for floor-mounted cabinets and other products. 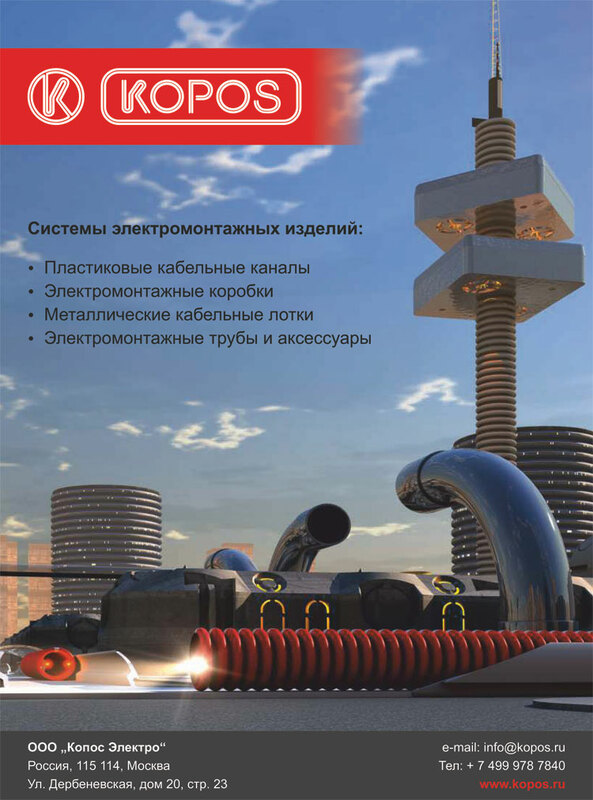 The KOPOS products are known around the world. 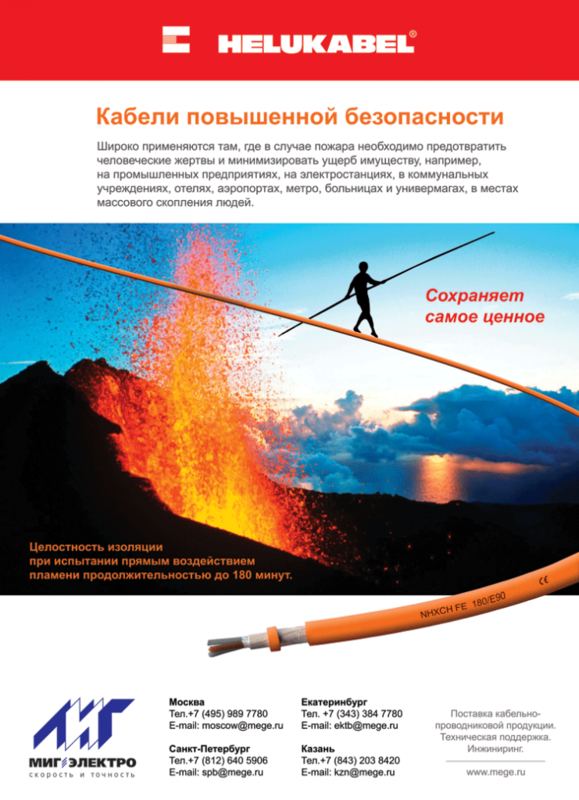 This Czech company with nearly century-old traditions is one of the leaders in the market of electrical products for cable line installation. Modernity, reliability, safety, comfort — these qualities distinguish KOPOS products and make them highly popular in Europe, Russia, CIS, Asia, Africa and South America. 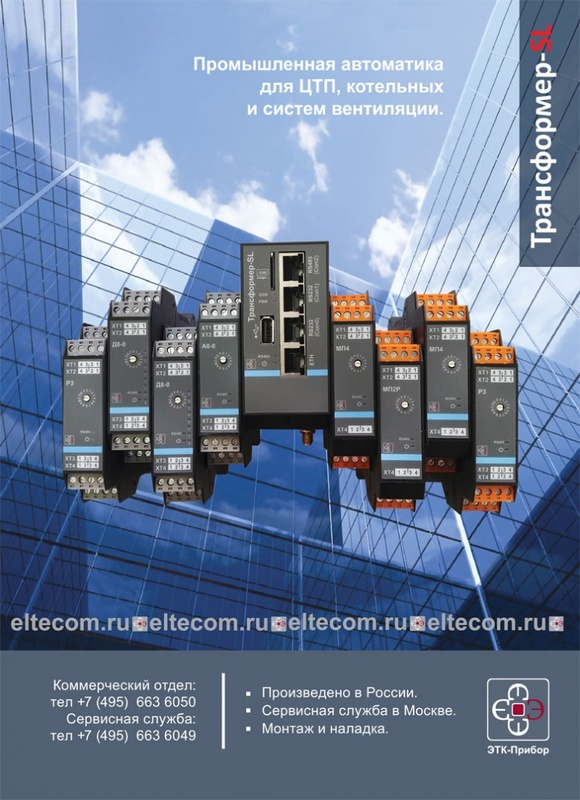 The article addresses the structure and operation of the main types of distribution equipment providing uninterrupted and secure power supply, as well as accurate setting of the following systems: input switching device (ISD), main switchboard (MSB), distribution board (DB) and lighting board (LB). Stripper wells are not automated in most cases. Their economic viability can be increased through minimizing the cost of their maintenance, which is achieved by means of automation system. This article describes a smart control station that can automatically choose optimal operation modes for pumps and wells. 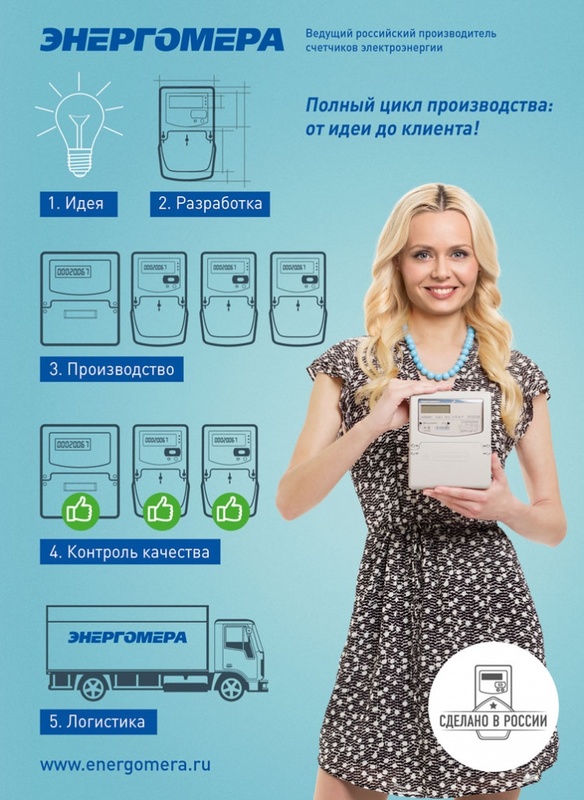 Smart metering with Energomera — the right call! 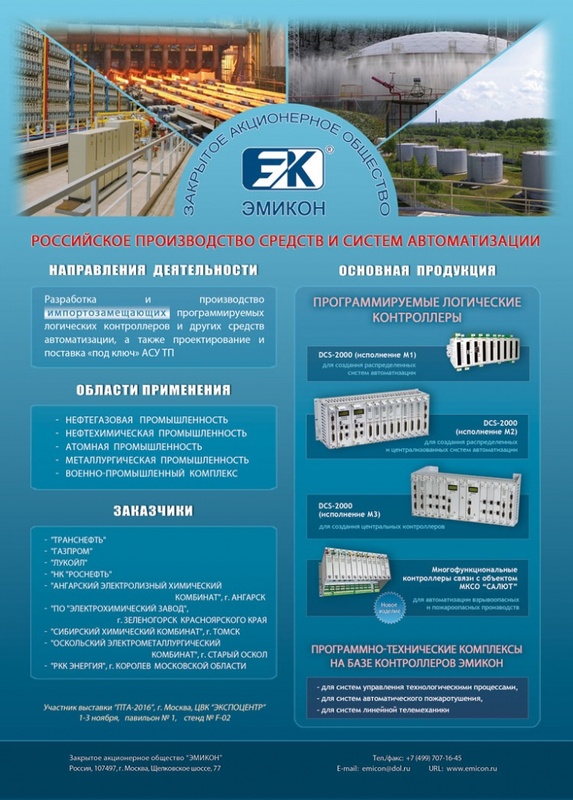 Modern automated power monitoring and control systems in-house produced by Energomera allow for Smart Metering of power consumption, which makes it possible to remotely control consumer load, quality of the supplied energy and balance of payments, as well as keep multi-tariff records, etc. A newly designed product of Czech company ORBIT MERRET — paperless recorder OMR700 — offers versatility and affordability. This device is designed for any operating processes that require non-stop collection, storage, recording and analysis of large volumes of information and is a great replacement of obsolete paper recorders. 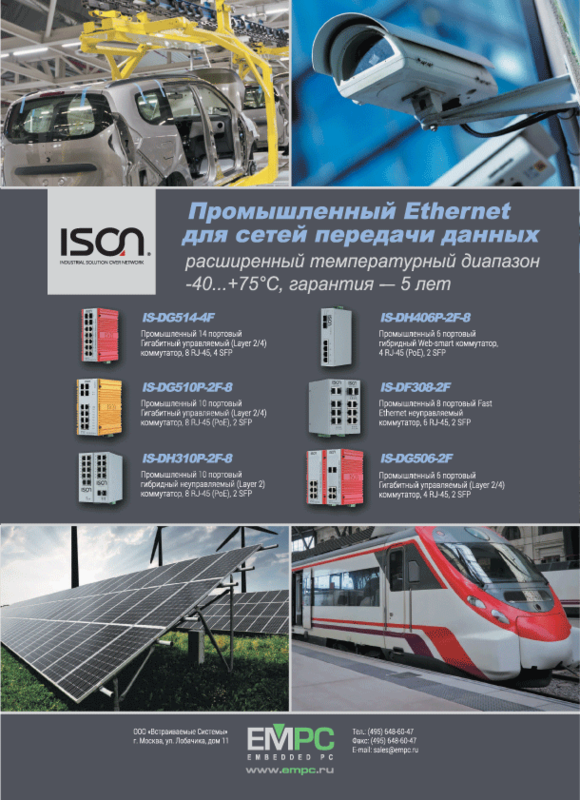 The article describes communication equipment designed by ISON Technology for industrial applications, mainly — the IS-DG5xx series of controllable switches. 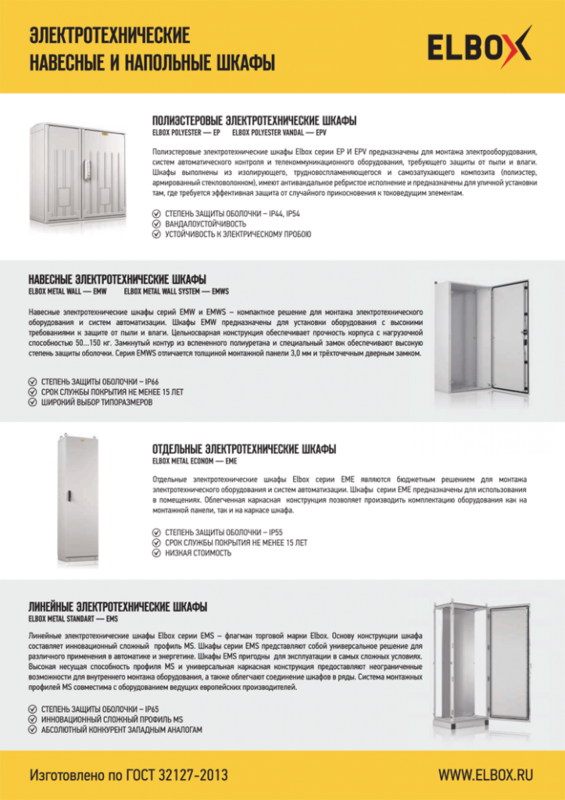 It covers the functionality of this series, its construction, design and application. This article describes the technology implemented in Eaton UPS, device data topology, communication and control options, as well as factors to consider when choosing a product for a specific application. The article introduces the fourth generation of QUINT POWER power supplies designed and manufactured by Phoenix Contact. 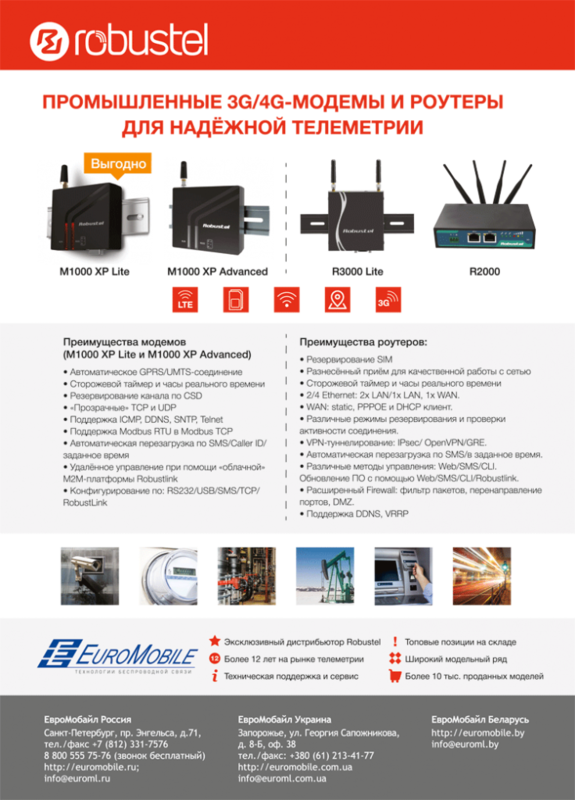 It addresses the functionality and improvements of QUINT4 implemented in the new device series. Together with other latest products Phoenix Contact, these new power supply units allow customers to create a system in full compliance with their requirements. STIHL uninterruptible power supplies and AC voltage stabilizers are the latest and advanced products that protect equipment from poor power supply. This article describes the difference between these devices and provides the cases in which their application will be more reasonable and rational. 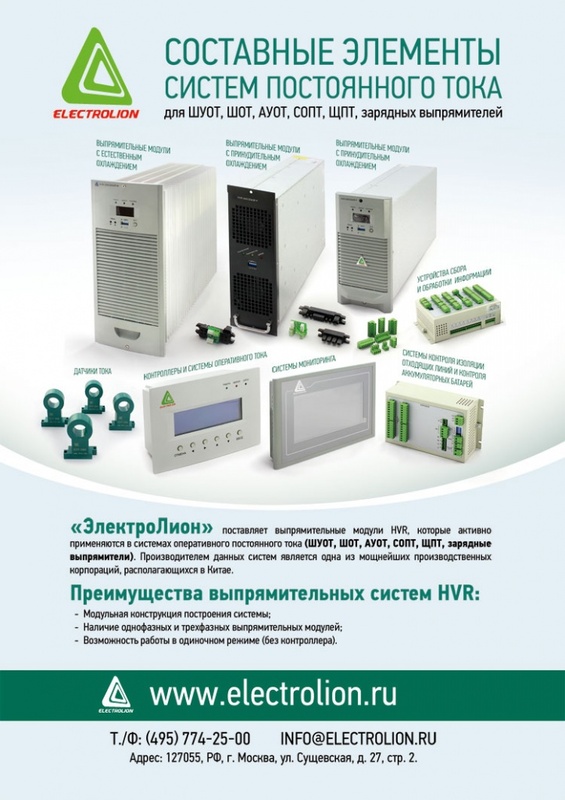 The HVR series equipment is used to create uninterruptible power supply systems that are widely used on a variety of objects that require DC supply. 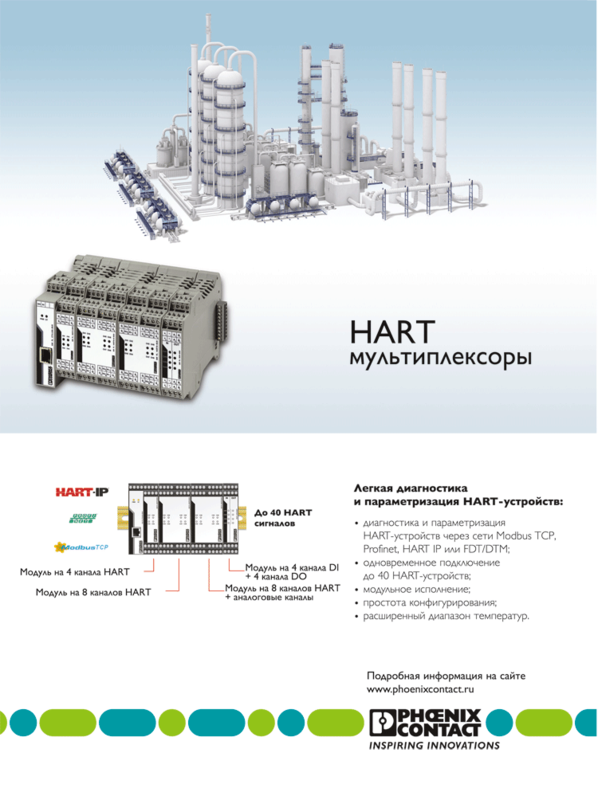 Rectifiers, controllers and other HVR devices designed and manufactured by Elektrolion allow creating reliable systems that meet modern technical requirements. Advantech introduces ECU-1152 — a new RISC-based industrial gateway specifically designed for solar power, electrical and industrial applications that require wireless Ethernet communication solutions. The article deals with products of Taiwanese manufacturers of embedded equipment. 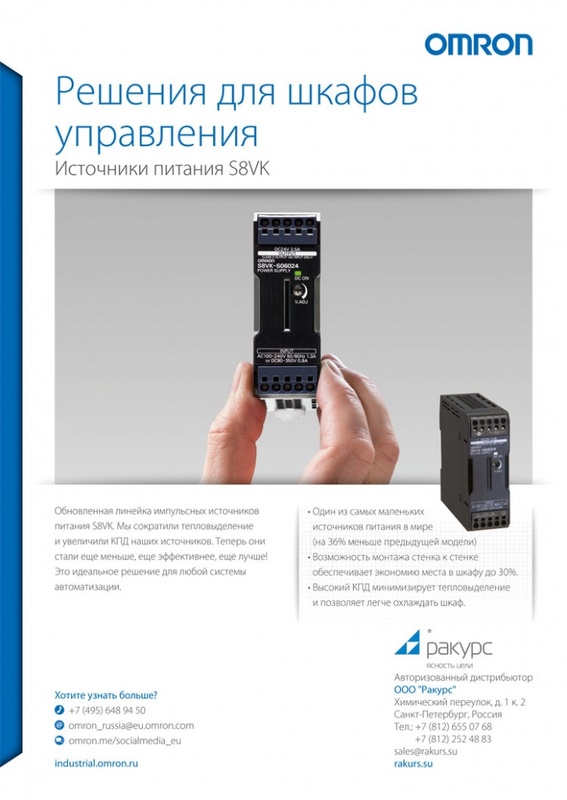 Weintek operator panels are considered one of the most convenient options for grid control. 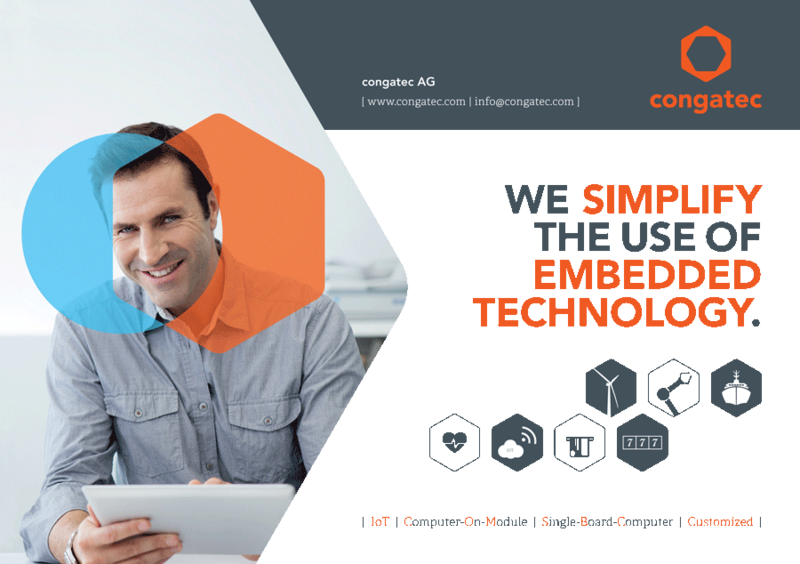 Being compact and light, Cincoze embedded industrial computers still have the power capacity of a personal computer and great durability, which allows them to withstand harsh operating conditions that are usual in the energy sector. The ability to use the difficulties for your own benefit, adapt and make a breakthrough when the others are washed away by the next wave of economic trends — perhaps, this is the art. Especially if you work in high-tech industry with inventions and developments that require patience, talent and hard work of design engineers. 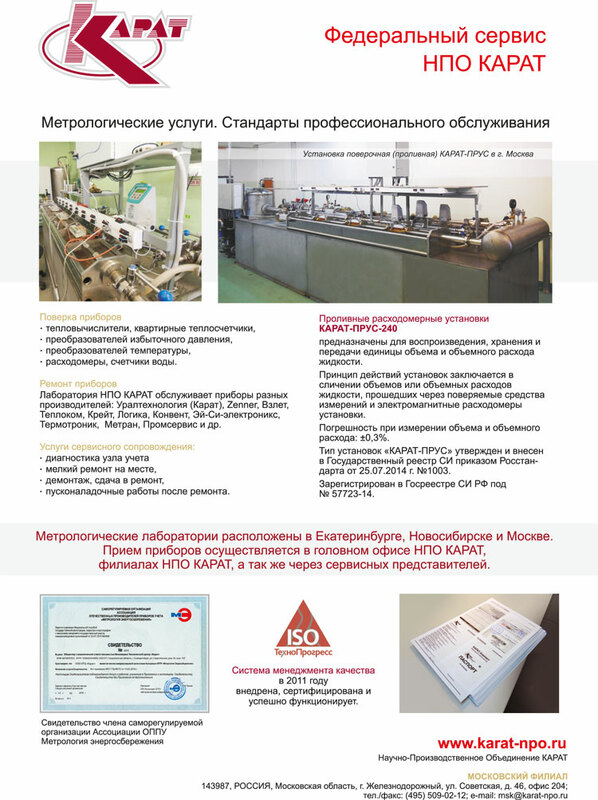 Milestones of the establishment of the scientific-production enterprise ELEMER — the leading instrument-making factory in Russia — often took place during the difficult years for Russia. 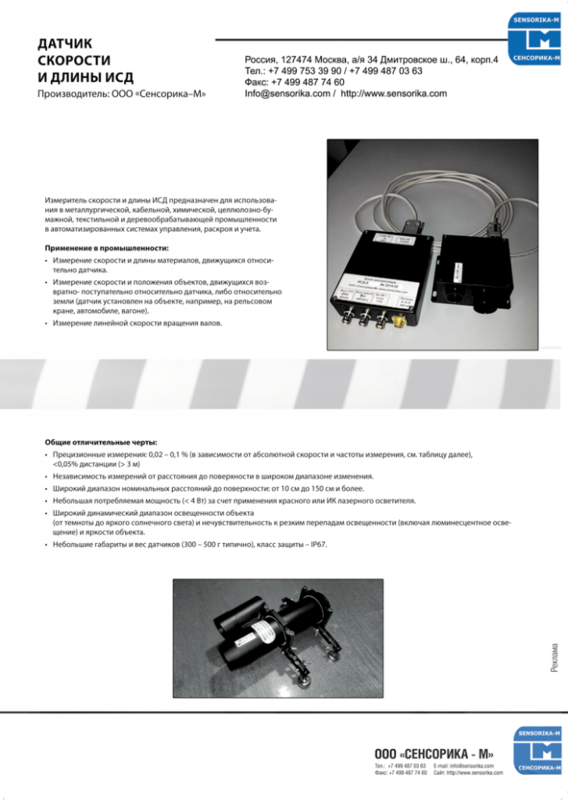 The Russian company OOO PTP Sensorika-M has used the latest technical advances both in the design and in mathematical signal processing algorithms to create proximity laser and optical sensors. Since a limited number of producers manufacture proximity sensors, this domestic development has only several analogues in the world. The article describes the operating principle of the sensor and provides use cases. 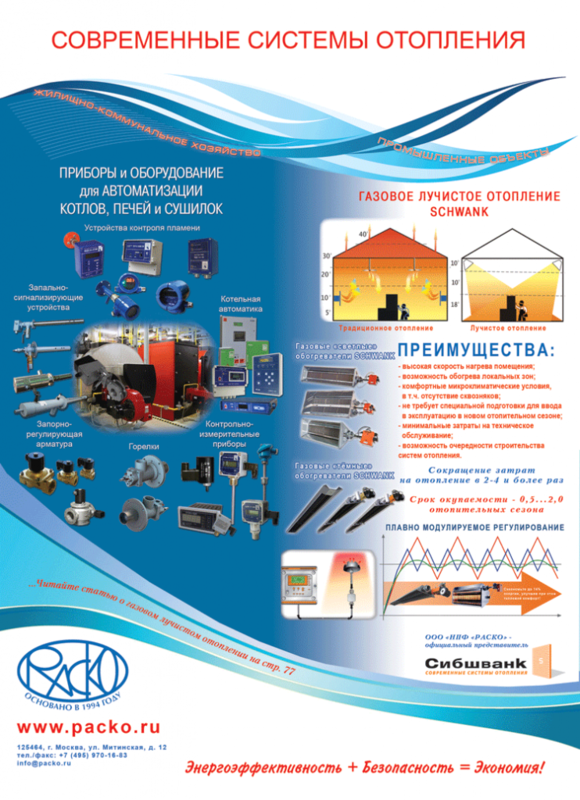 The operating sphere of the scientific-production association Karat is very broad. 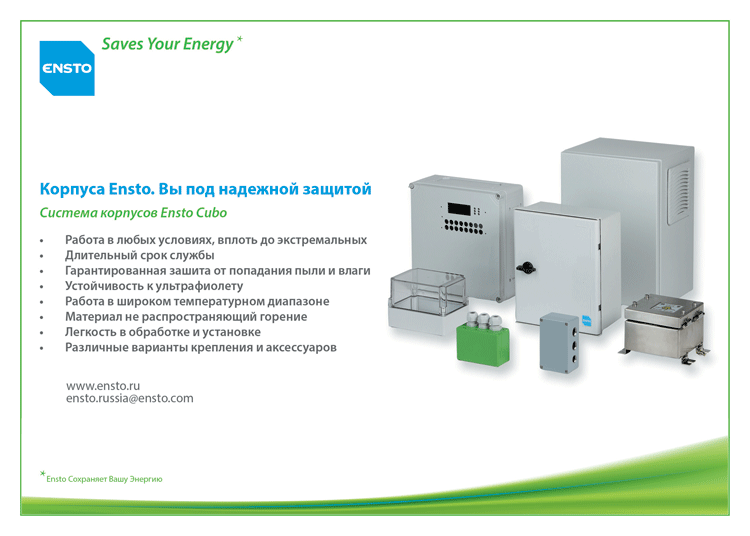 The company’s global specialization is energy resource measurement supported by in-house metering devices and equipment for control systems, as well as service maintenance. 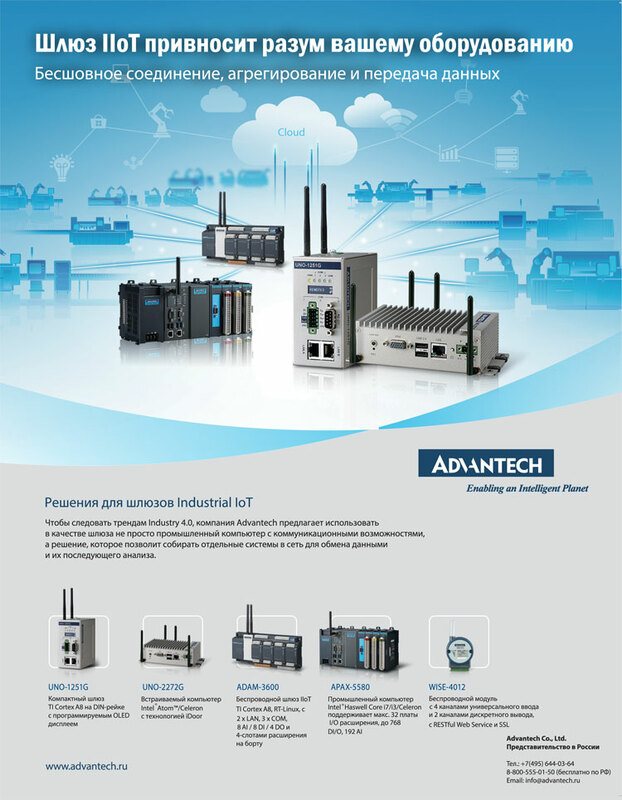 Advantech has developed its smallest industrial Internet of Things computer and gateway UNO-1251G. The article deals with the benefits of gas radiant heating systems — industrial-grade systems that have long been successfully used in many countries around the world. Their operating principle, considerable economic benefit and the reasons for which such systems are not widely spread in Russia yet are described. 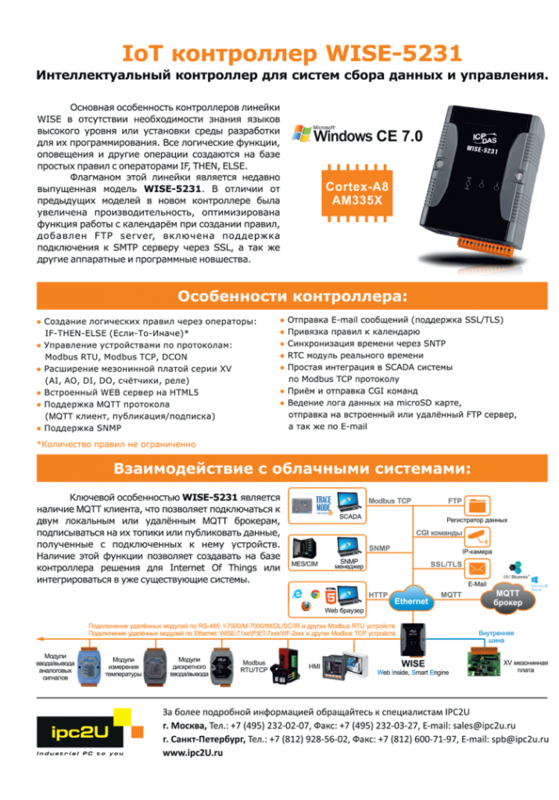 This article describes the products of the domestic manufacturer of embedded systems Bilteh Company. 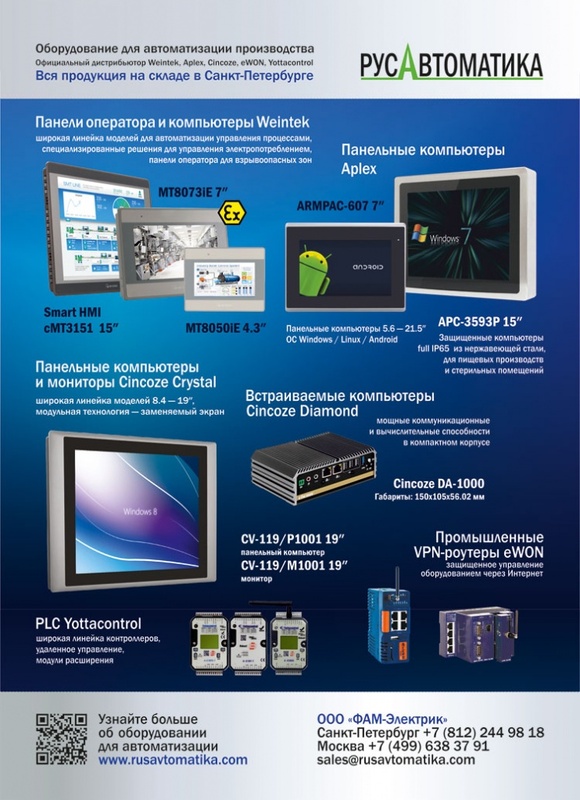 The technical characteristics of panel PCs BТ-12-res-PC and vandal-proof all-in-one miniPCs BТ-17-res-MB are provided. 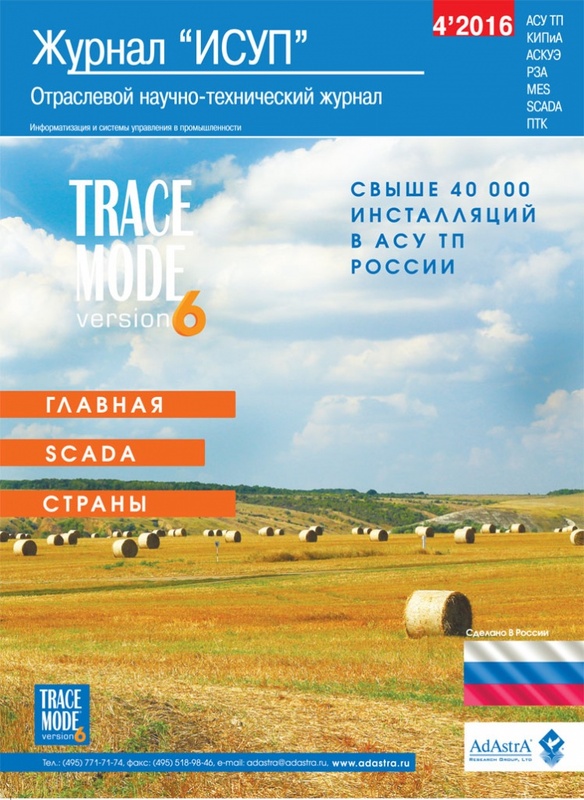 A short interview with Evgeny Vladimirovich Miroshnichenko, Head of the Sales Department of Bilteh, is published together with the article. This article is about a new device used for video data processing in data storage server network. 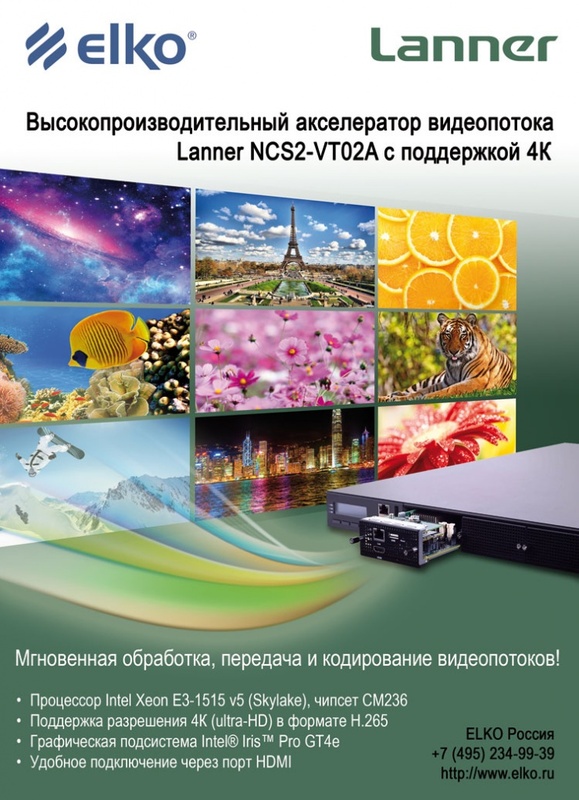 The Intel solution-based video adapter NCS2-VT02A created by the Taiwanese company Lanner and is a highly effective device that allows achieving the highest quality of video transmission. 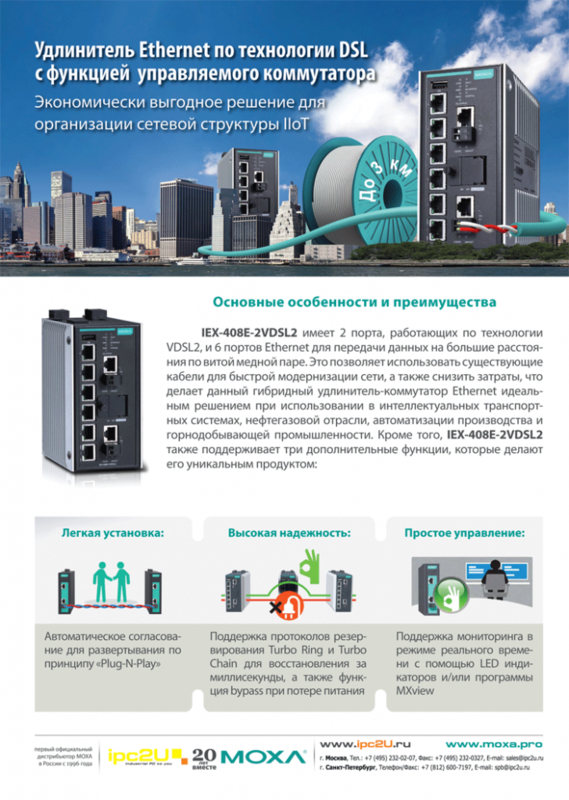 A short interview with Vladislav Igorevich Vlasov, Product Manager of ELKO Russia, is also provided. This article on harmonic distortions has a practical, applied nature. 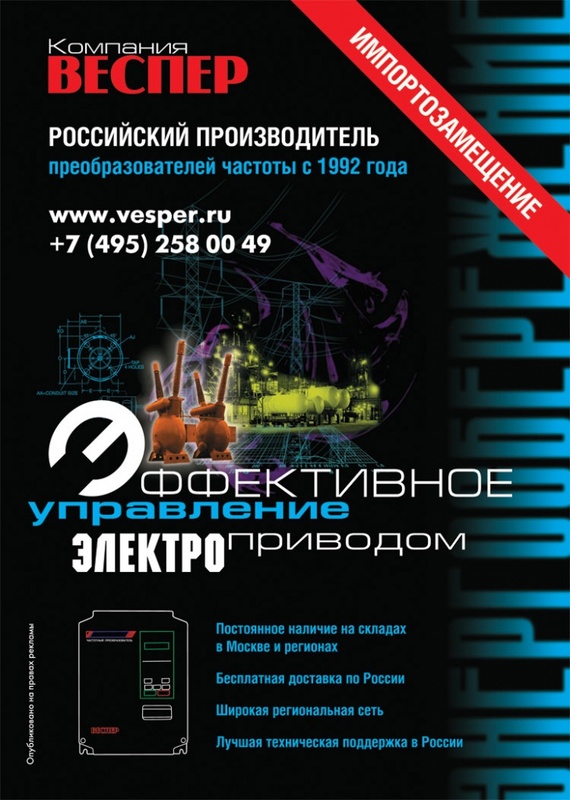 It is based on years of Vesper’s experience in the production, delivery and maintenance of frequency converters. 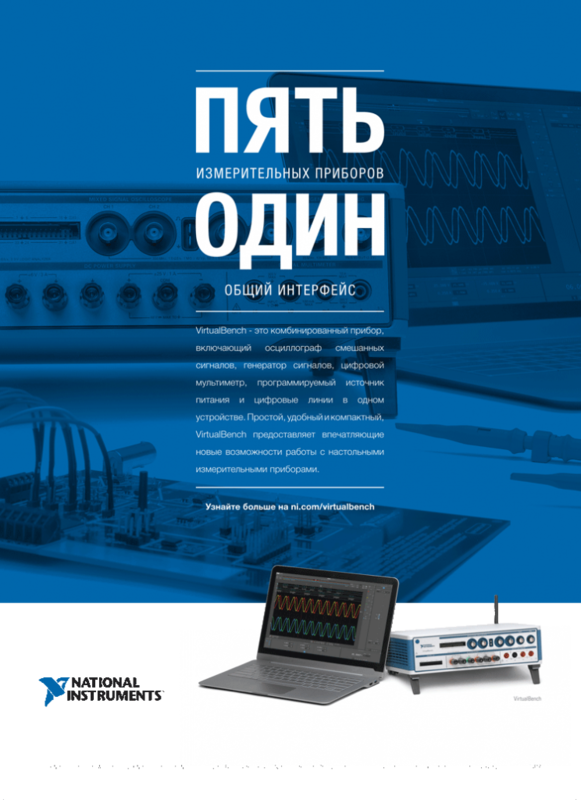 The article gives examples of the calculation of THD for frequency converters and provides the selection of additional devices that reduce harmonic components. Dual Path architecture is a completely new solution developed by ZES Zimmer for power measurement of whole circuits and their individual parts. Dual Path allows significantly increasing the speed and accuracy of measurements. 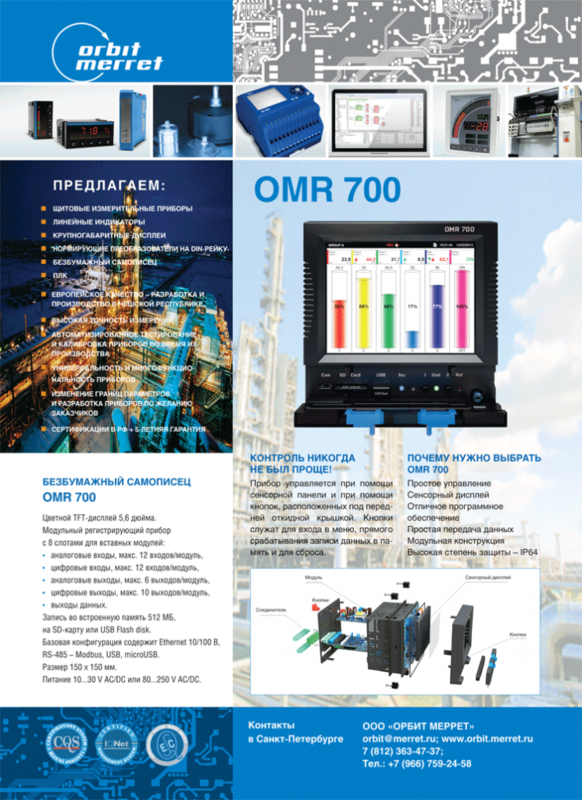 This article describes the LMG670 power analyzer by ZES Zimmer based on the new technology. It is also explained why the company has equipped LMG670 with x 86 processors. 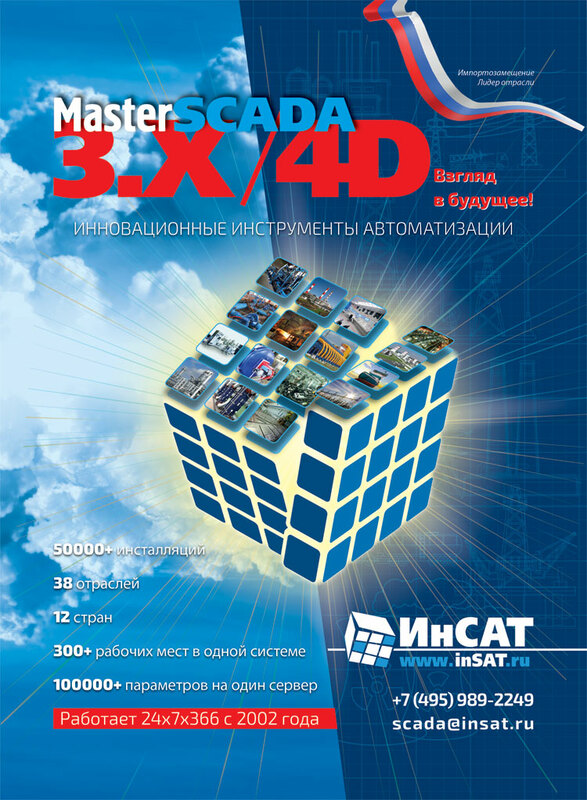 An approach to the development of projects based on WinCC OA SCADA system is considered. 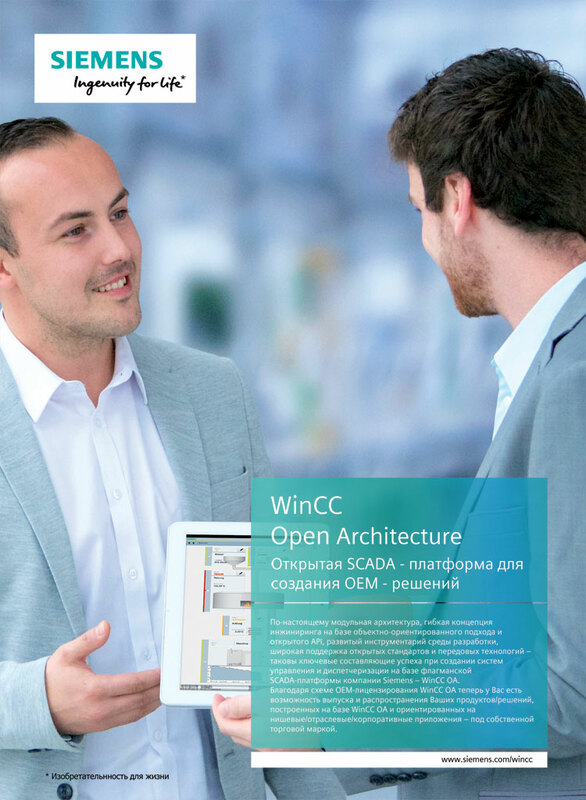 The main WinCC OA tools for projects engineering are described. 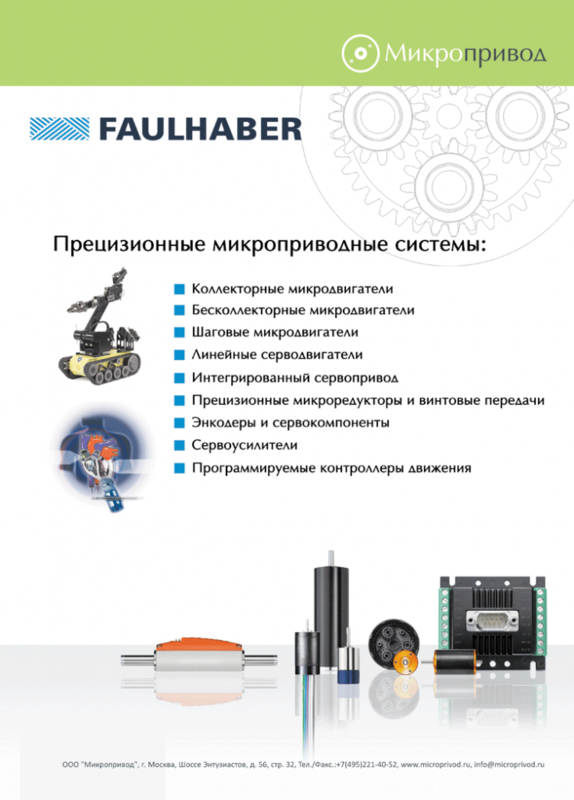 The German company Faulhaber has released a new series of Motion Controllers V3.0 or MC3.0. This article describes their features and functionality, some new solutions in the design that distinguish them from the old series, as well as the features of Motion Manager 6 software. 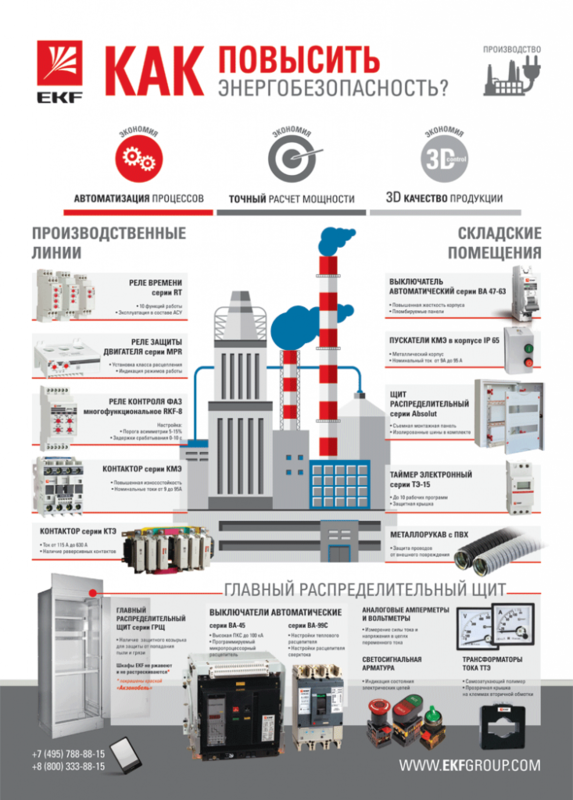 NPP Rodnik works in the Russian market for 25 years. Over more than half of this period, the company's experts are engaged in the promotion of protected printers from such industry leaders as NOVA and Ritec. The experts of NPP Rodnik have recently introduced a new model of an industry-grade enclosure with laser printer, NOVA Model 1500. This device is much more affordable than other industry-grade printers are but has a comparable level of protection. Affordable price range of the new model will allow significantly extending the application scope of protected printers.